the indoor and outdoor titanze signage clearly indicate it's integrity and assurance. 1) Superior waterjet cutting – sharper than any other cutting method for greater accuracy. 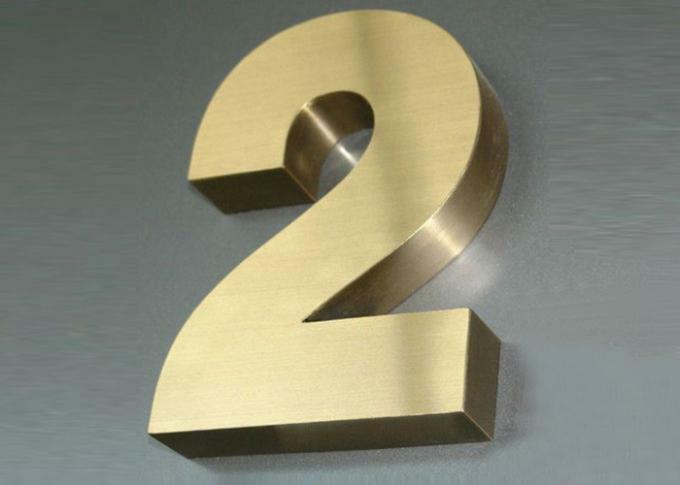 3) Spacer mounting or Wall Mounting installtion ways - easy to settle your titanize signage or logo . 5.High Quality 304/316 Stainless Steel. distributors and traders to reach win-win business. quality& favourable price goods as well. You are warmly welcome to visit Satom Display in anytime. 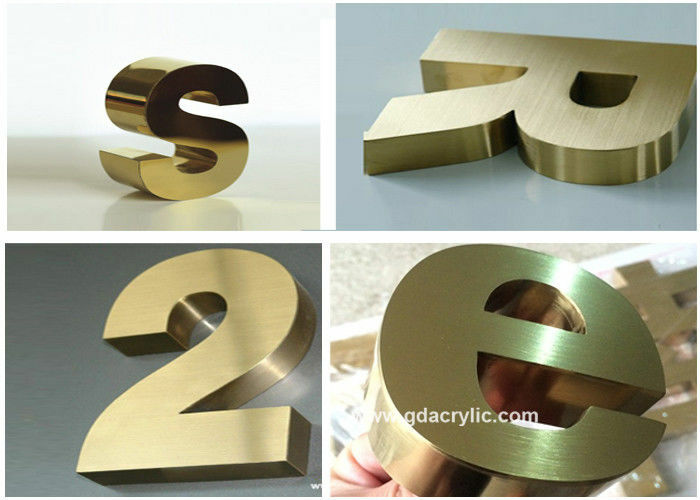 Welcome Gold, Silver Stainless Steel Signs' OEM Customization. Depths: From 1/2" to 5"
Depth: From 1/2" To 5"